We offer a FUE method hair transplant in Hungary in Budapest and at affordable prices for all budgets. Our hair transplants are performed manually by an internationally renowned hair surgeon and member of the most prestigious cosmetic and hair surgery associations. A hair transplant or hair restoration, hair implantation, micro graft, is a hair transfer, taken in the donor area (usually between the two ears) and implanted in the bald area of ​​the patient. The first hair transplants have been around since the 1950s, but the techniques have evolved tremendously since then. For many men and women, hair is synonymous with beauty and youth. Hair loss can have detrimental effects on self-confidence and self-esteem. It can even affect the quality of life. A hair transplant is the only effective solution to treat hair loss and naturally restore the bald and bald areas of the skull. With the evolution of the latest techniques in hair surgery, hair restoration today gives natural and lasting results. The effect “doll hair” is over. This is done nowadays without pain and is much less invasive than formerly. The majority of patients who have used a hair implantation are very satisfied to have taken the step. 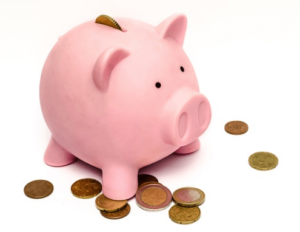 How much does a hair transplant cost in Budapest, Hungary? 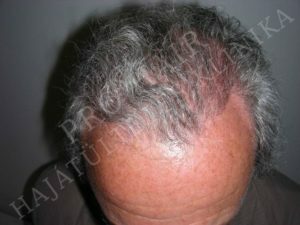 We offer FUE hair transplants for men or women from 1,500 euros. Hair transplants are suitable for men and women. Thus, in both sexes, androgenetic alopecia, which refers to hair loss of genetic origin, is the main cause of hair loss. Today, one in three hair transplants is performed on a woman. A hair restoration is possible in cases of permanent hair loss. A dermatologist can determine the origin of the fall. For example, if the hair loss is temporary, it is not recommended to perform a hair transplant. Regarding the age of the patient, it is important that the hair loss is stabilized. Indeed, it will allow more harmonious results. In addition, it will be easier for the surgeon to determine the final appearance of baldness. For younger patients, solutions such as PRP or Minoxidil will slow down the fall. Finally, we think that a hair transplant should not be done before 25 years. The donor area of ​​the candidate must be sufficiently dense. Ideally greater than 60 Follicular Units per cm2. First, a good density will allow to implant more hair in the bald area. Then, it will be important to keep enough hair in the area of ​​sampling. Indeed, grafts taken will not grow back in this region, but only in the bald area. According to the universal table Hamilton and Norwood, the degrees of baldness higher than class 6 are more difficult to recover via a hair transplant. In these cases, the project of a hair transplant will have to be reviewed. Hair color is also important. The less the contrast between the color of the scalp and the hair, the easier it will be to cover the recipient area. When the hair of the candidate is in the same tones as the color of his skin, the visual effect will be less striking. This is for example the case for blond patients with fair skin. The thicker the hair, the easier it will be to cover the bald area. If the hair is thin, it will take more to cover it. As a result, thick hair will more easily block the light through the hair and will not reveal a balding cranium. It will be easier for the surgeon to insert the follicular units when the skin of the scalp can be streched. If the skin of your scalp is too tight, a hair transplant may not be the best solution. Finally, a hair transplant should be avoided when the patient has a scalp disease. Indeed, in case of scalp disease, the chance of regrowing follicular units decreases. It is then important to consult a dermatologist before. There are different methods of hair transplantation. Today the most popular techniques are FUT and FUE. The FUT (Follicular Unit Transplantation) or Strip Method Transplant was very popular in the 1990s. The FUT technique involves taking a strip of hair from the back of the patient’s head, separating the grafts and to re-establish them in the bald or bald area. We no longer use this technique because it leaves visible scars on the donor area. In addition, it requires incisions and thus leads to a much longer recovery period. The FUE (Follicular Unit Extraction) is currently the standard technique in hair surgery. Appeared in the early 2000s, it has now proven itself. Thus, it is considered the biggest revolution in the field of hair transplantation. FUE consists in extracting each follicular unit in the donor area of the patient and relocating them in the balding area. The big advantage of FUE is that it does not leave a visible scar in the donor area. Finally, we also offer a hairless shave type FUE. You will be able to keep the length of your hair and return directly and discreetly to work after your hair implants. Following your hair surgeon’s recommendations will reduce the risks and complications of a hair transplant. In addition, it will bring with you a shirt or a sweater with a zip. Indeed, the day of your hair transplant and the following days, it will avoid any friction with the hair implanted when you change. The day of the hair restoration, it will be necessary to take a good breakfast before arriving at the hair clinic of Budapest. 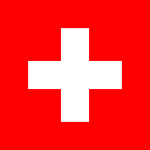 In order to establish your quote, simply send us pictures of your hair by e-mail to info@swissmedflight.com. Based on your photos, we will determine the number of hair you need, the cost of your surgery and the number of sessions planned for your transplant. A medical consultation will take place in our hair clinic in Budapest before the operation. 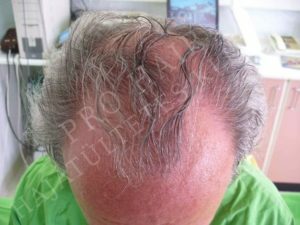 We will review the objectives of your hair transplant and we will explain the progress of your intervention. The doctor will provide you with the medication and antibiotics to take. Finally, an informed consent must be signed before the capillary implantation. We implant 1’000 grafts per day. For example, if you need 2,000 grafts, then the intervention will be spread over two days at 1’000 grafts per session. The hair transplant takes place under local anesthesia. The doctor gave you an injection of a mixture of lidocaine and marcaine. These are made on the scalp. Thus, the hair transplant will run without any pain. For more comfort, we will provide a slight sedation. It will relax you throughout the session. You will even have the opportunity to sleep during the hair transplant, listen to music or watch TV. In addition, we also plan breaks during the session. So you’ll have time to stretch your legs, go to the bathroom and eat something. The follicular units or grafts are taken from the occipital area, at the back of the head between the two ears. The surgeon carefully extracts them with a micro-punch. Since the follicular units used will not grow back into the donor area, it is important to keep enough for two reasons. First, it will be necessary to maintain the capillary density in the donor zone. Secondly, it is necessary to keep a sufficient stock of follicular units in anticipation of a future hair transplant. Indeed, baldness will evolve over time and new areas cleared may be the subject of a new intervention. Once the follicular units are extracted, they will be preserved in a PRP solution. This method increases the chance of survival of the grafts. In addition to this, PRP improves hair regrowth, increases hair thickness and improves healing. The implantation of the follicular units is the last phase of a hair transplant. It is also more delicate and longer. The surgeon’s technique and experience play a significant role during implantation. The surgeon makes micro incisions, then implants the grafts one by one using a hair implanter. At the end of the hair transplant, the hair surgeon will provide you with postoperative instructions. It will tell you how to take care of your hair, provide you with medicine to take and how to protect your head during the following days. There is no hospitalization provided, so you can return to your hotel after your hair transplant. Medication will be provided to manage discomforts (analgesics), help you sleep (sleeping pills) and reduce edema (corticosteroids). After the hair transplant in Budapest, it will be necessary to wear a bandanna to protect the hair. During the 15 days following the capillary implantation, you should not wear a hat or wig on the head. At showers, you will not wash your hair for the first 2 days. Special instructions for shampoos will be given to you by the hair surgeon. It will be necessary to sleep with the head elevated during the 3 days following the intervention. To do this, you can take a second cushion to keep your head up. During the first week, you will have to wear a zip shirt or sweater to avoid tearing the grafts when you change. At the level of crusts, they will fall on their own. These can stay for two weeks and you will not have to touch them. Then at the level of sports activities, it will be necessary to avoid any activity leading to excessive sweating during the first week. You can resume the sport two weeks after the intervention. Finally during the first month, it will protect from the sun, do not sauna or go to the pool. As with any surgery, hair surgeries carry risks and complications. However, for FUE type hair transplants the risks and complications are rare. By following the recommendations given by your surgeon, before and after the hair transplant, you will be able to reduce them as much as possible. The latest techniques of hair surgery allow natural and lasting hair transplants. The implanted hair will not fall and the new methods leave no visible linear scar. After a FUE hair transplant, the grafts continue to grow for 3 to 4 weeks and then fall. Then nothing happens. The hair starts to grow again after 4 months. Finally, the final result is appreciable after 10 to 12 months. The hair surgeon is one of the most experienced hair transplant specialists in the world and I was lucky to find an appointment with him. He is a master of his profession and very meticulous in his work. It took two days. Having performed the procedure, I can certify that a hair transplant is a painstaking and delicate treatment. The surgeon’s experience is very important in this area. My surgery went well and I did not feel any pain. The clinic is located in a quiet, green and relaxing environment. 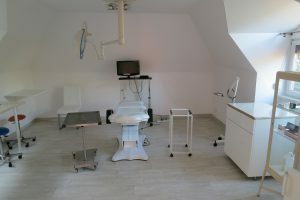 Medical care in Hungary: up to 80% savings!